At tails.com we want to support you in looking after your dog’s health; as well as the importance of great nutrition, your dog’s oral hygiene is key. Four out of five dogs over the age of three suffer from periodontal disease, meaning their teeth and gums are in poor health. The most common sign noticed is bad breath in dogs. You may also see yellow or brown staining on your dog’s teeth and red, inflamed gums. Here we’ll cover how to identify if this is a problem for your dog, as well as providing steps you can take to prevent or slow the process. 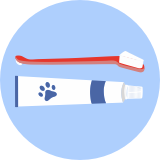 There’s a handy video to help with brushing your dog’s teeth, and you can find out how our dental dailies can play a key part in your dog’s oral hygiene routine. Our dentists ask us to brush our teeth twice daily to stop plaque forming in the first place. If we don't brush our teeth the plaque builds up and forms tartar. It’s not surprising that if we are not cleaning our dog's teeth most will develop plaque. Plaque is a mix of bacteria and minerals from food that forms an invisible, slimy layer on the surface of the teeth. 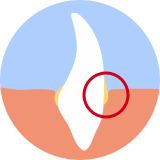 This then builds up around the gum line and crevices between teeth. Once hardened with minerals, it forms limescale-like deposits called tartar or calculus. 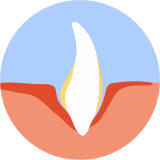 Periodontal disease, which is a progressive form of gum disease, occurs when bacteria, plaque and calculus damage teeth and gums, sometimes leading to deep infection. Without veterinary treatment, teeth can become loose in their sockets and fall out. Your vet may recommend a dental scale and polish to remove plaque above and below the gum line. 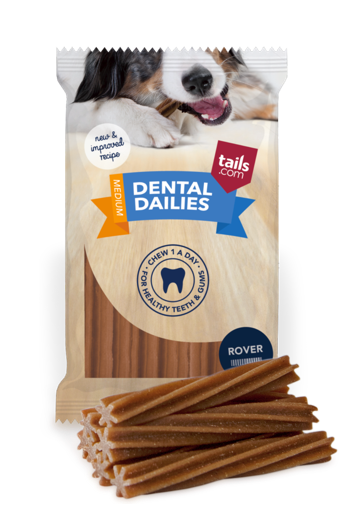 Another great way to help keep your dog's teeth and gums healthy is to provide good quality dental sticks. Our healthy Dental Dailies can reduce the buildup of plaque and tartar over time when given regularly. Establishing your dog’s oral hygiene routine, with regular brushing and dental chews, should help to end bad dog breath.